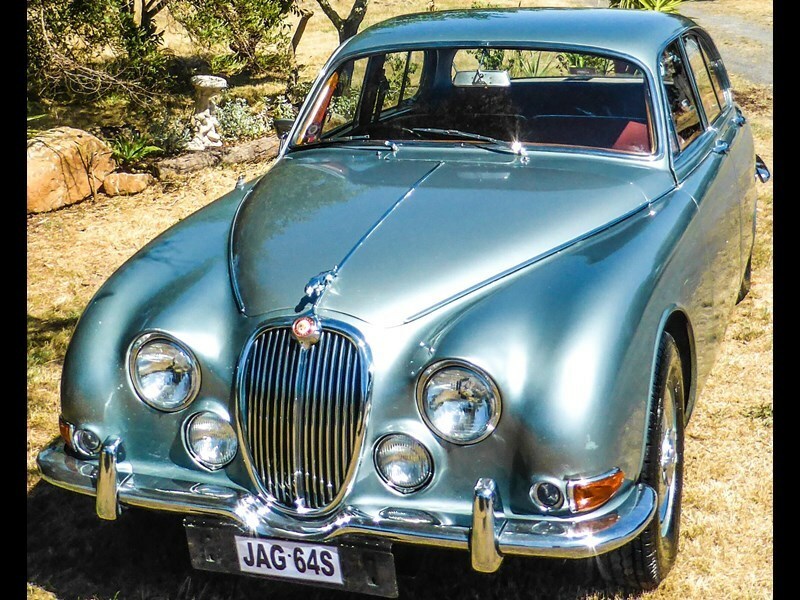 Though it hasn't experienced anything like the classic car stardom shared by many of its contemporaries, the S-type Jaguar was in fact a technically advanced car and an exceptional drive for its era. Keep in mind we're talking early 1960s, when many of the cars sharing the roads were using solid rear axles and drum brakes. In effect an updated Mk II, the S-type switched to an independent rear end, which was the big technical update for the model and enough to significantly improve its handling. Meanwhile it also ran Dunlop-developed four-wheel disc brakes - still a relatively rare feature at the time. Under the hood the car had much the same mechanicals as the Mark II, either a 3.4 or 3.8lt straight six and one of the prettiest engines you'll ever see. The long rear end is what most clearly distinguished this car from its predecessor and the two models were sold alongside each other for some time. S-type production began in 1963 and finished in 1968. The nameplate was revived for a second series in 1999. This example claims to be rust-free and overall very good condition, running the 3.8lt engine and a three-speed auto. Assuming it all checks out, it seems like a lot of car for the $14,490 asking price - particularly in a market where chrome bumper Aussie cars tend to dominate, at higher prices. This example is located in Victoria. Jaguar's original S Type promised much but struggled to get the attention it probably deserved. First new Bullitt Mustang sells at auction for $375,000!